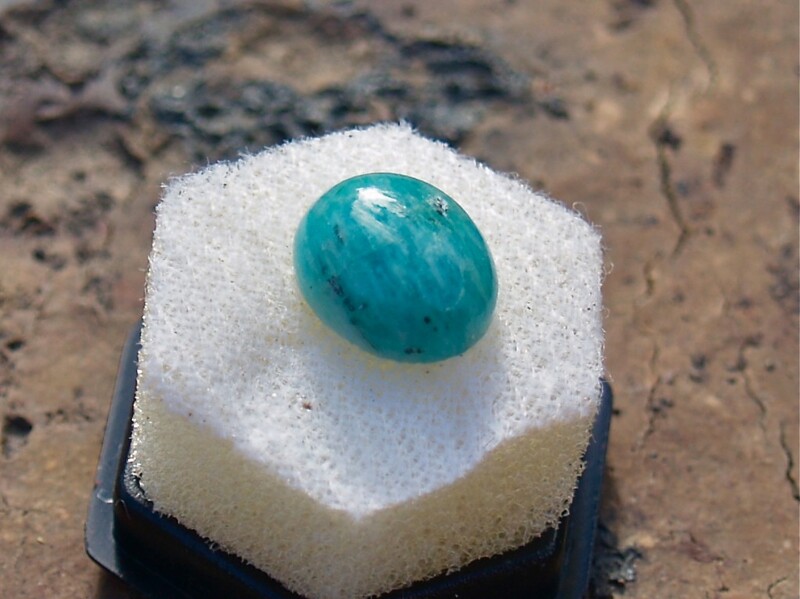 "What Stone Is That? - for Mrs. Yollis and class"
Heather provided a quality comment needing to have a reply including a little more than words. This photo was supplied by Mrs. Yollis and class. Heather, one of the best things about sharing learning through blogging is the way we can exchange ideas so easily no matter where or how far we are apart. Your comment was an example where we both learn from each other. Reading what you shared, I realised I would need to share extra graphics to give you some answers. 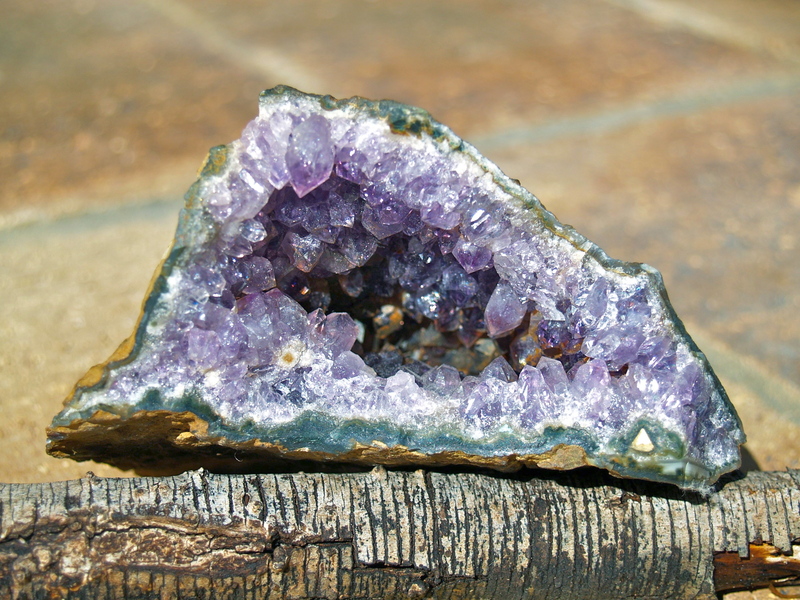 A concentric, banded, fibrous variety formed by precipitation from watery solutions in rounded cavities in lava rocks (geodes), sometimes with beautiful clusters of rock crystals or amethyst at the centre. A concentric, banded, fibrous - is about the fine layers you see in this magnified part of your class photo. Fine layer after fine layer had built built up making bands in the sample. 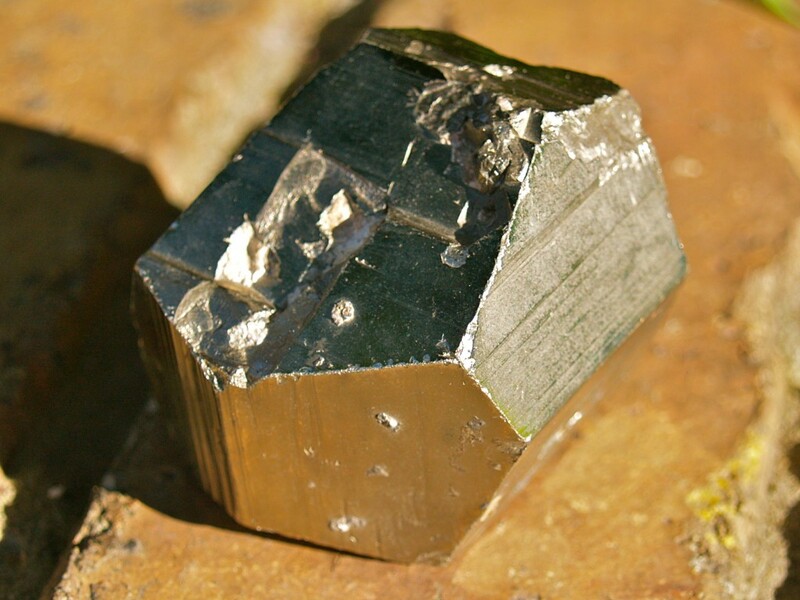 Water can absorb many types of minerals, some slowly and some quickly. When the water evaporates, the minerals can be left behind. In some examples, crystals can grow. Here's something you can try. Take salt and dissolve it in warm water or take some sea water, the saltier the better. Put the water in a flat, clear dish (glass is better so you can see under the result) and leave it in a sunny, warm place. Don't move or stir it as this can effect the results. 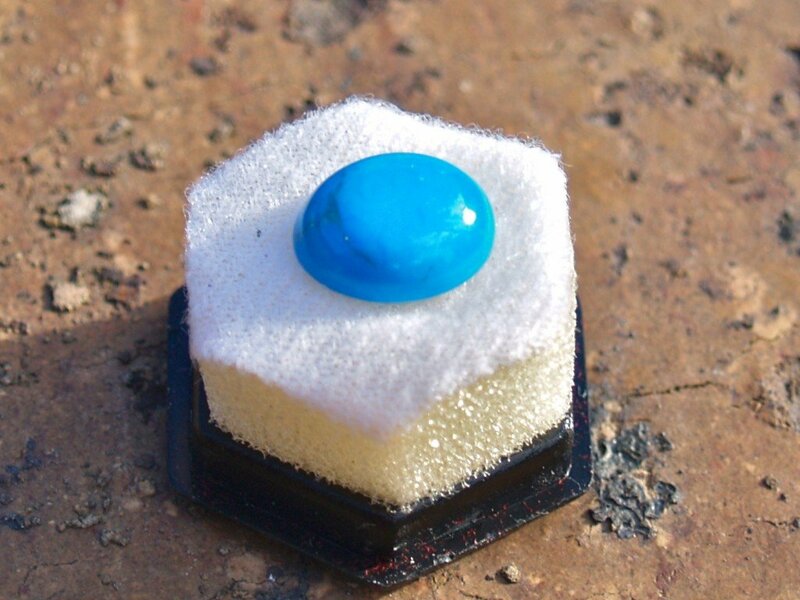 Over time, the water will evaporate and you will see salt crystals forming. Once the water has all evaporated, you can examine the crystals. 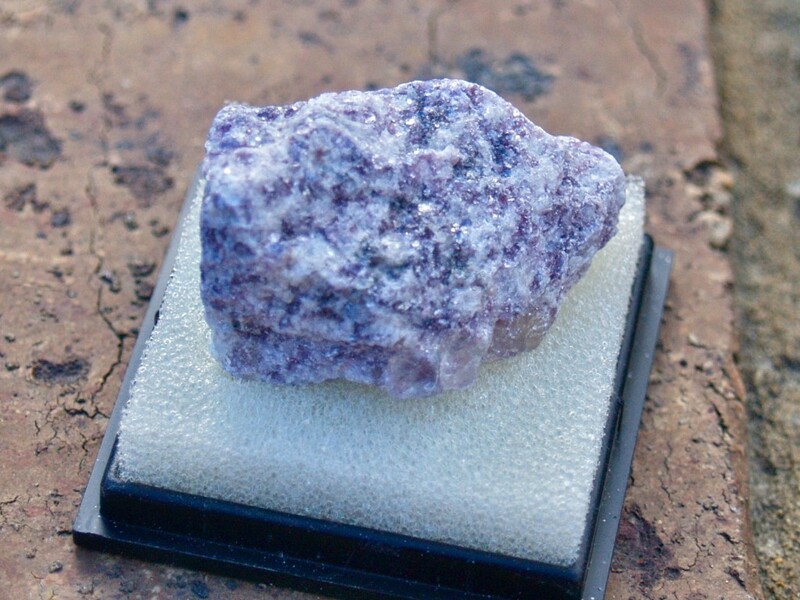 Use a magnifying glass to see the finer crystals. Crystals are fascinating. 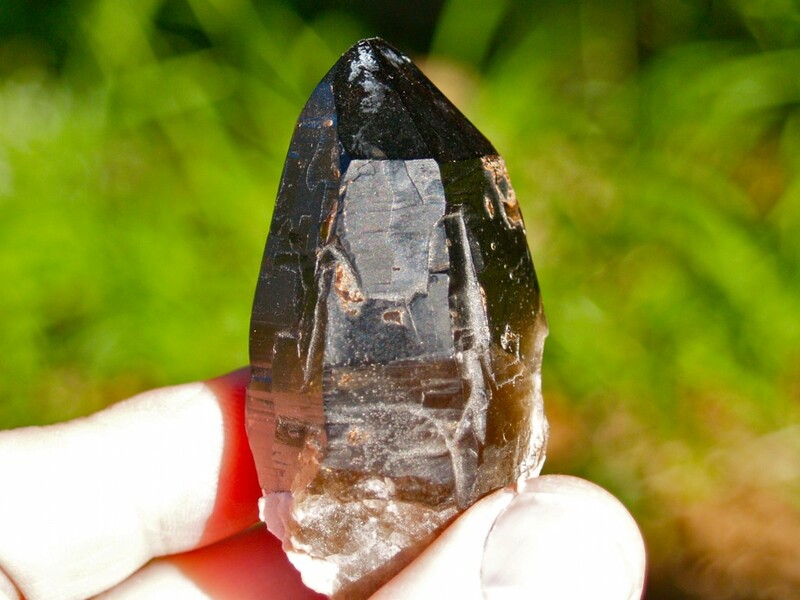 If you see a larger crystal, you might see it has a certain number of sides. How many can you see? Crystals are growing rocks. We don't consider them alive but they do grow as long as the "watery solution" is still able to provide raw materials. 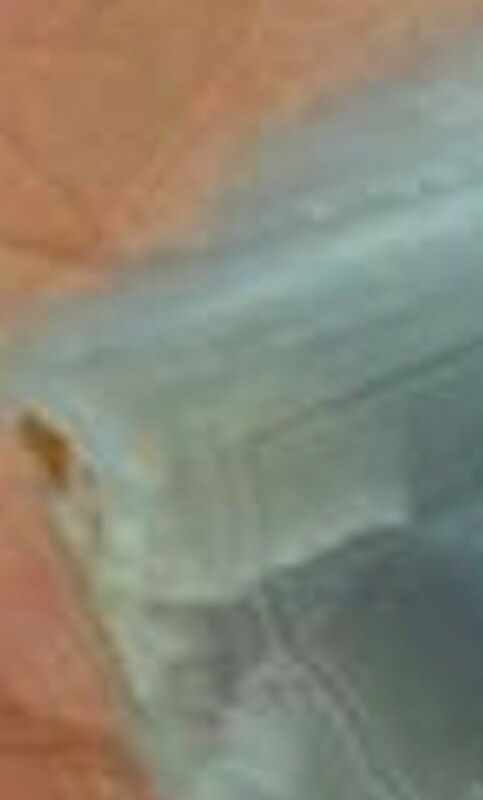 Here are some crystal photos I have taken to show you. 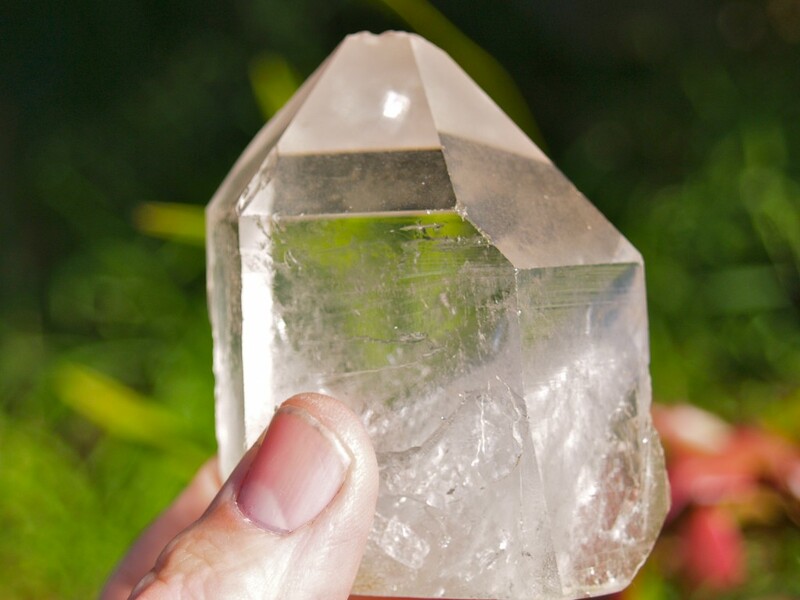 You can see quartz crystal has six sides. The different colours in quartz can depend on other minerals dissolved in the watery solutions. This sulphur sample has been inside a sealed container for over 30 years. 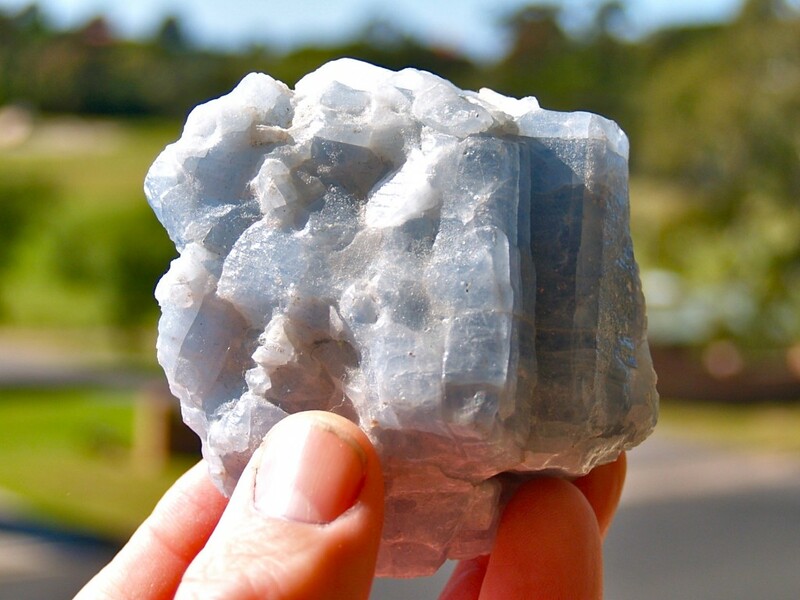 With permission, it was collected from a fumerole (where gases and steam escape from volcanic areas) in New Zealand. 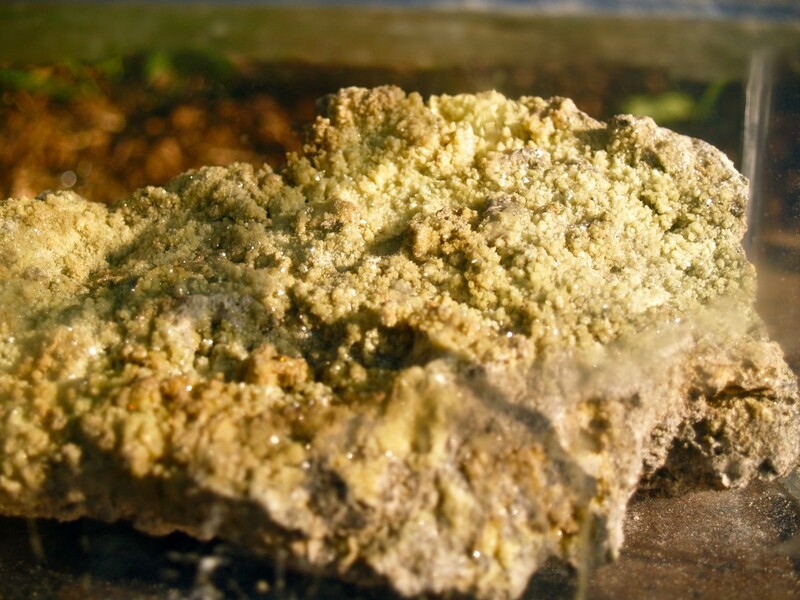 Sulphur (and salt) crystals break down in water so they would have become powdery instead of shiny if not in an airtight container. Keira's Rock - How did it get there? 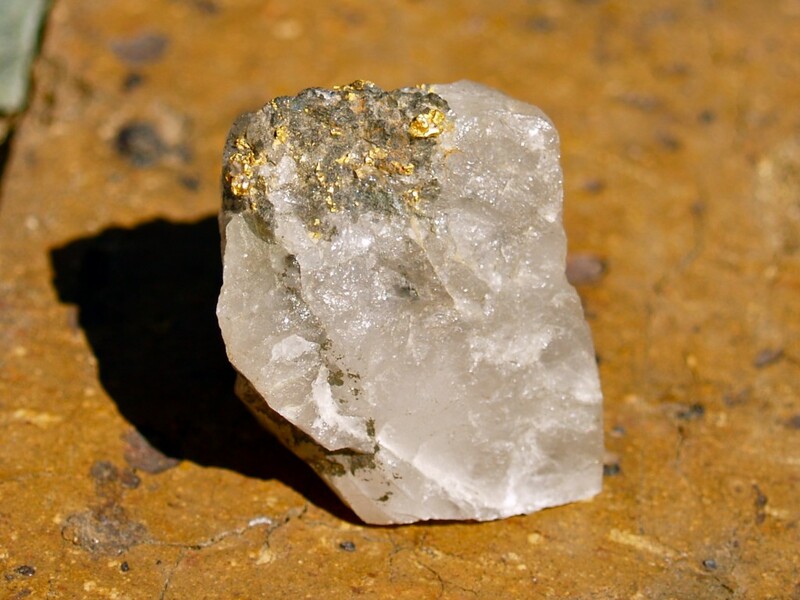 Gold can often be found associated with quartz rock but is much rarer. Most quartz won't have any gold. Just like other minerals, small amounts of gold can be in water and other fluids (it doesn't really dissolve but can be present in very small amounts). As water evaporates, gold can be left behind in cracks in rocks. If enough gold is carried in enough time, it can build up in amount. The sample of quartz below is from a mine in Hill End, N.S.W.. 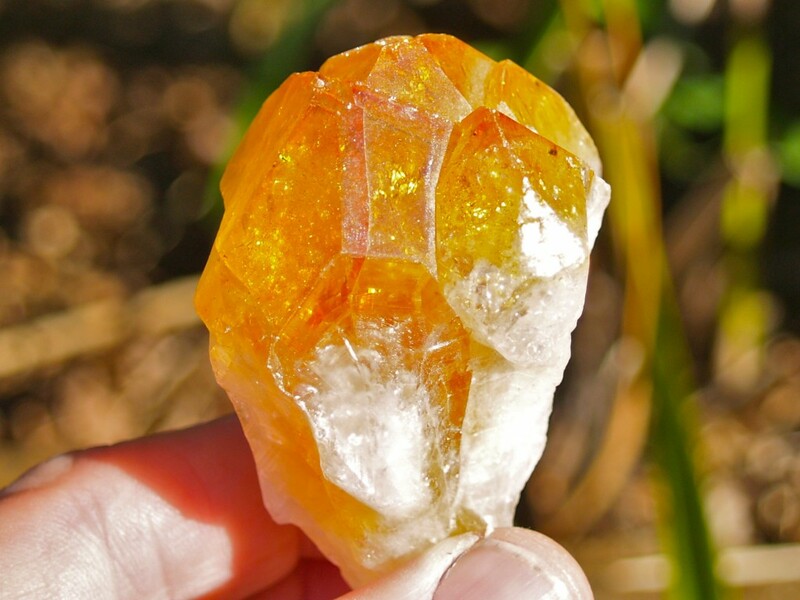 This is mined gold in quartz. If the gold bearing quartz is exposed to wind and rain, larger pieces of gold can be eroded out. 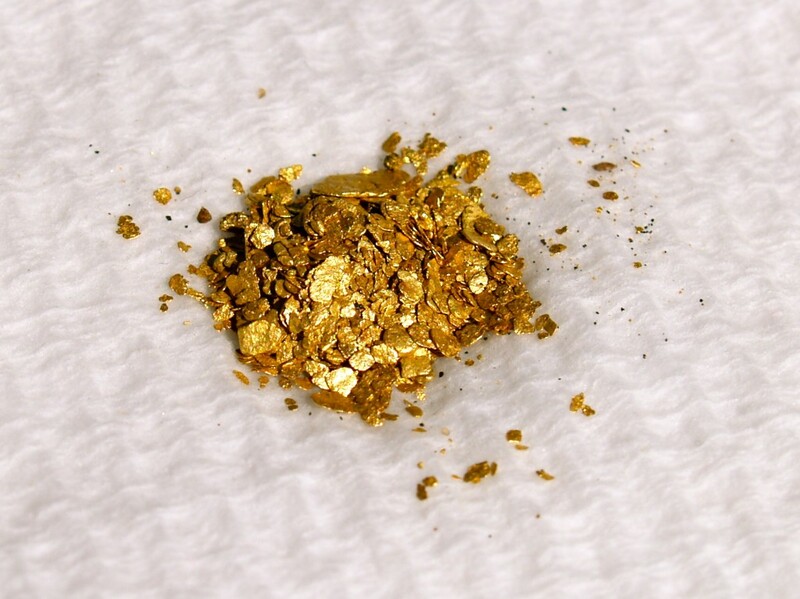 This is how we can find gold nuggets in streams and rivers. The below sample is only 0.127oz or about 1/8oz (3.6g). It is only about 1.4cm across. 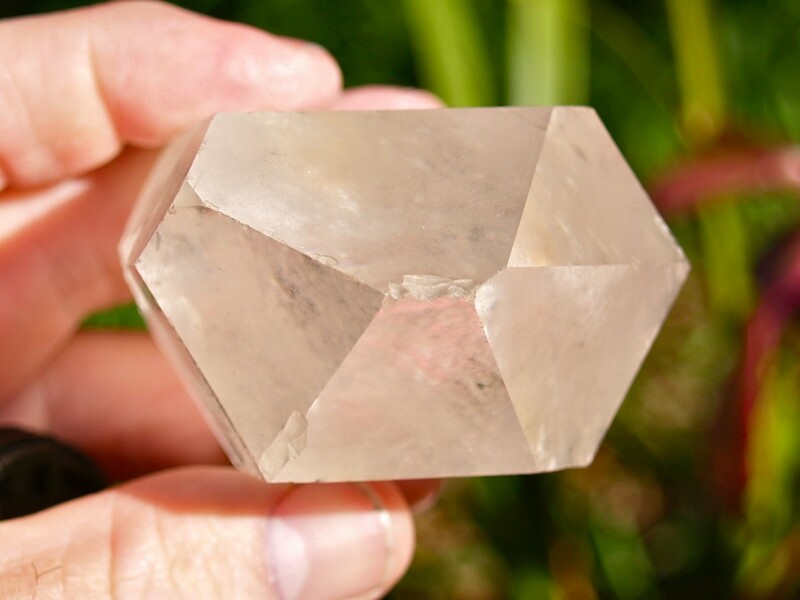 You might even be able to see a tiny quartz crystal in it. 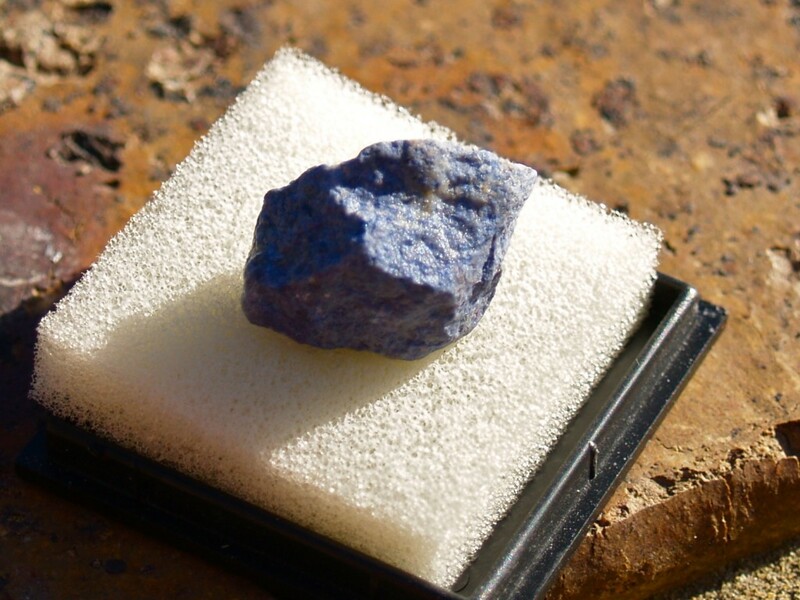 This small nugget came from New Zealand. Gold starts it's journey as precipitated (left behind when water dries) gold in rock. 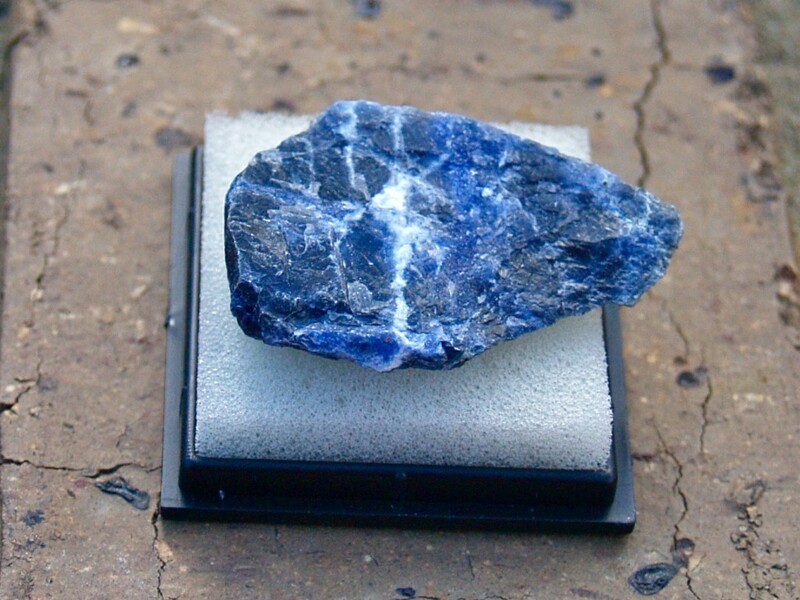 It can be mined or found in nuggets and flakes if eroded. Gold, as you know, is used in jewellery and is also import in electronics but my favourite use is to make gold coins. 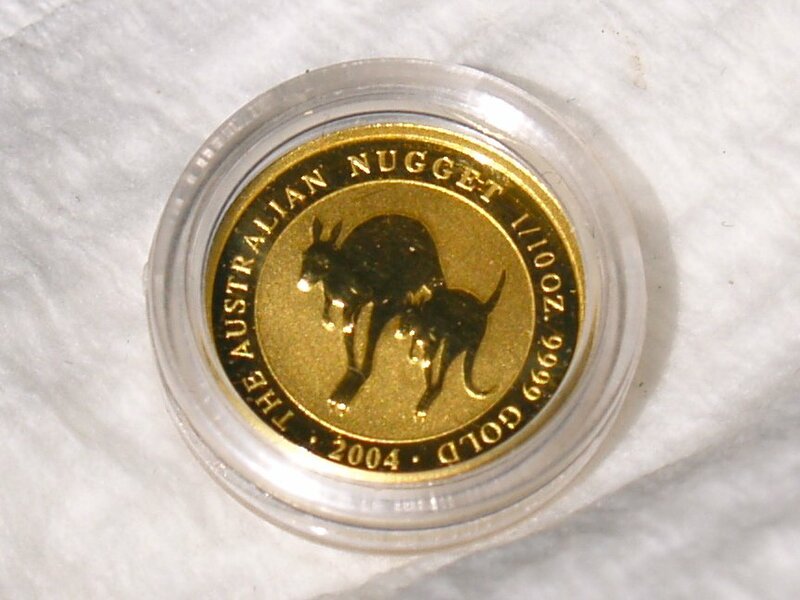 The photo below shows a 0.1oz Australian Gold Nugget coin. 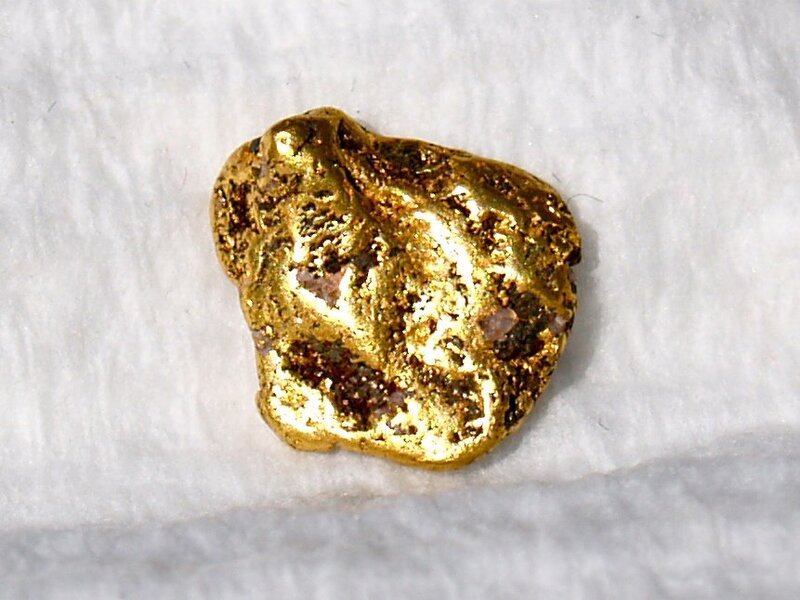 It has a diameter of about 1.5cm and its value for the gold content today is about $135 U.S.. I found one reference to a Californian beach where agates can be found at low tide. 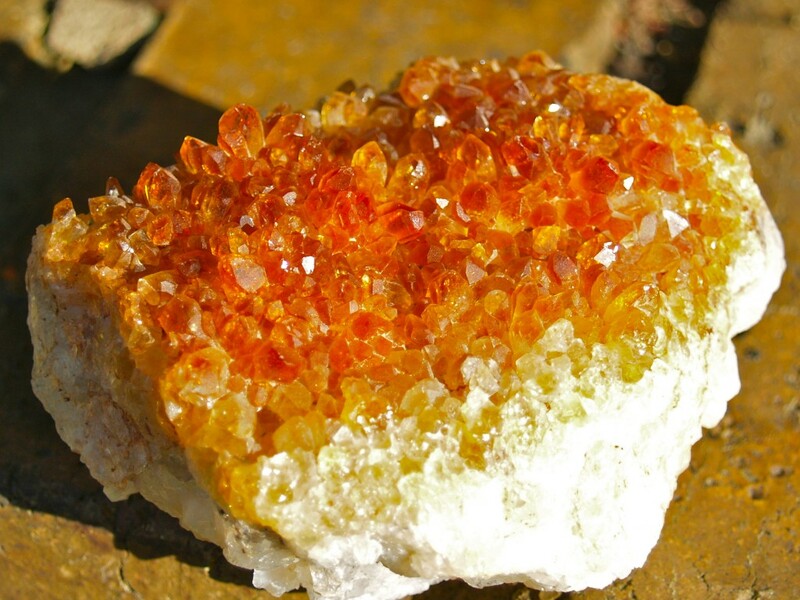 The San Francisco Gem & Mineral Society blog post tells us Pescadero Beach about 40 miles (64km) south of San Francisco. If you look at the photos they share, you will see the agates have been rounded by wave action on the rocks and sand. 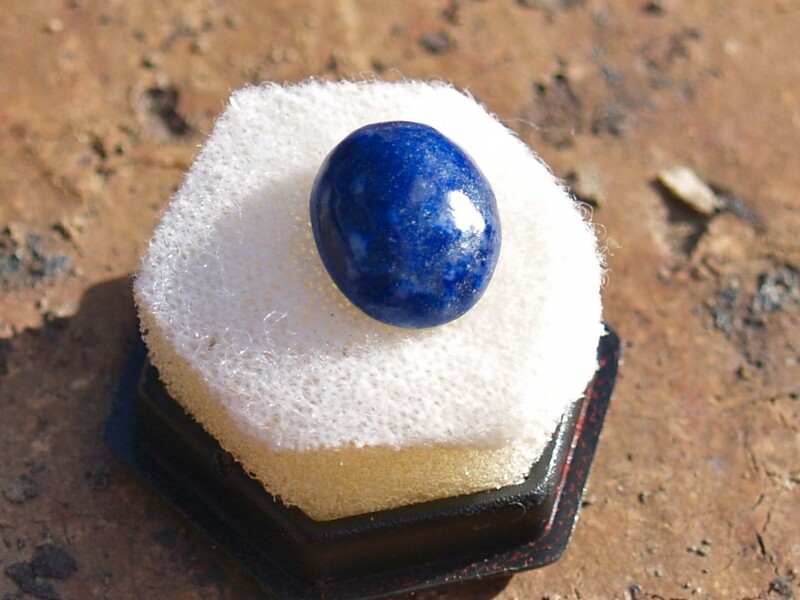 Where Can Azurite be found in Australia? 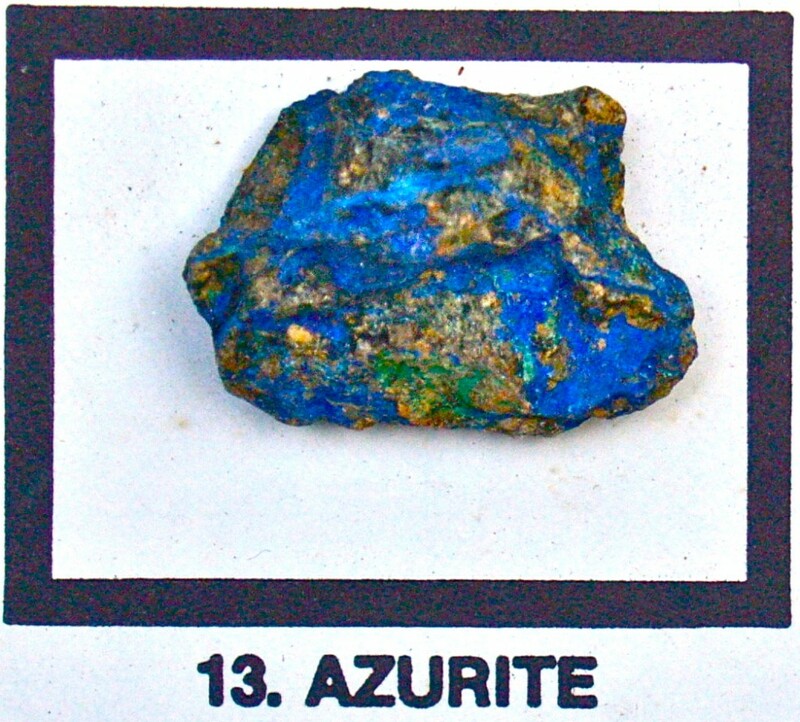 Azurite is really a bluish coloured form of copper. The other colours are impurities of other material. There are a number of places it can be found in Australia including, in N.S.W. (Girilambone and possibly to Nymagee), Northern Territory (Areonga), Queensland (Chillagoe) and South Australia (Burra Burra). I think it can be found in the U.S. in Morenci, Arizona. I have a crystal that looks almost like the purple crystal that was cut in half. 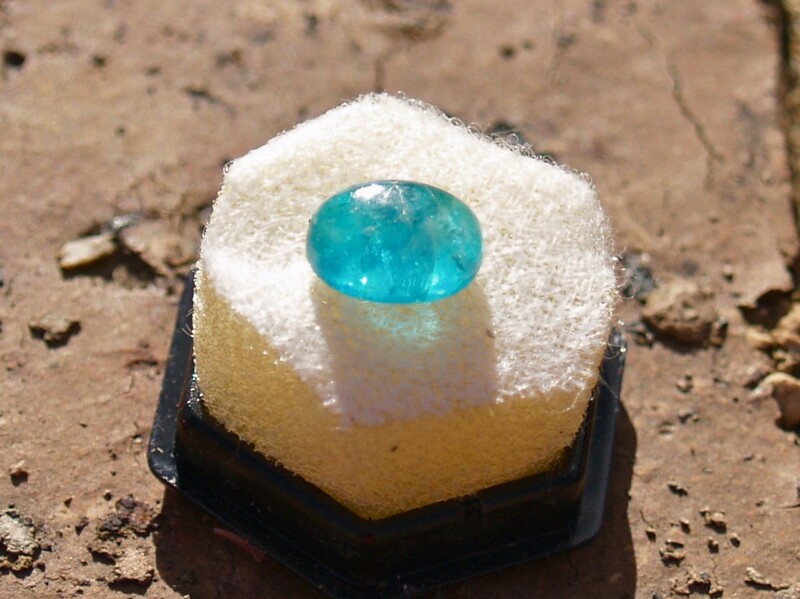 My crystal is blue. What kind of crystal is the purple one? I think the purple crystal you mean is amethyst, a quartz type, shown also above. 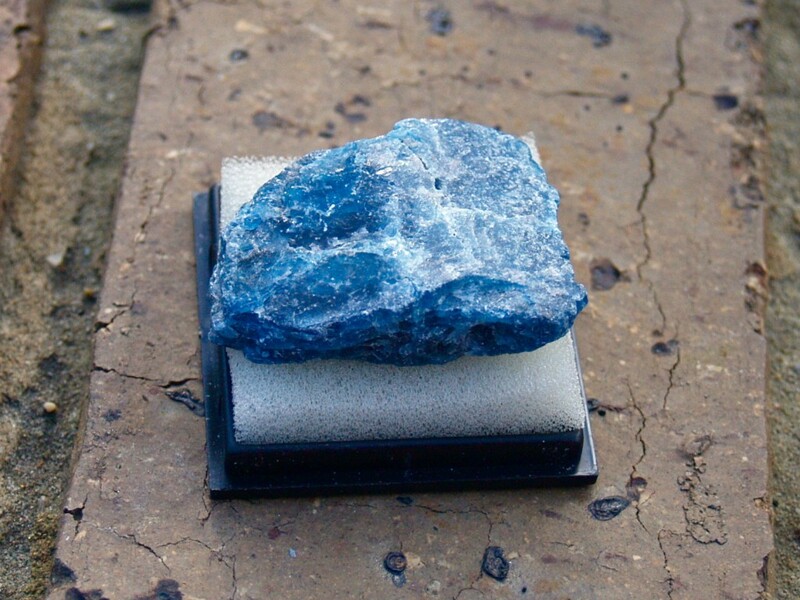 There are many crystals and minerals that can be blue, purple, green, red or other colours so it would be hard to say without looking at the stone. Here are some blue, purple, green samples from my collection. They are only small samples and some have been cut and polished. How Do I Know So Much About Minerals? 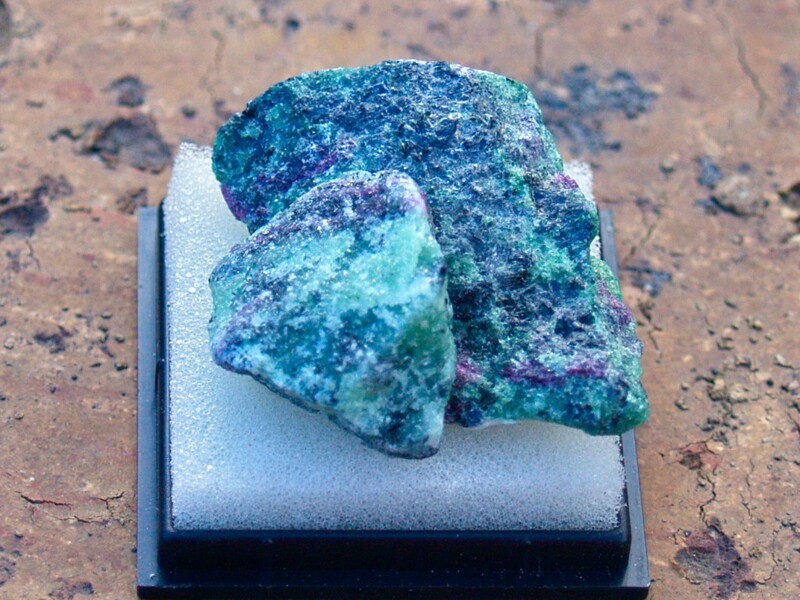 I don't think I do know a lot about minerals but I am interested in them and over the years have collected some. I know enough to get some ideas but my secret is knowing how to find answers when I need them. It could come from one of my geology books or online. If you were to talk to someone just starting school, they would probably wonder how you knew so much but that's what learning is about. If you keep your mind and senses (sight, sound, touch, smell and taste) open to new things, learning seems to come in to try and fill the space. I'm still learning new things so it seems an open mind is pretty hard to fill. Your questions helped me learn a little more about my collection. Be a lifelong learner. There's so many interesting things to discover. 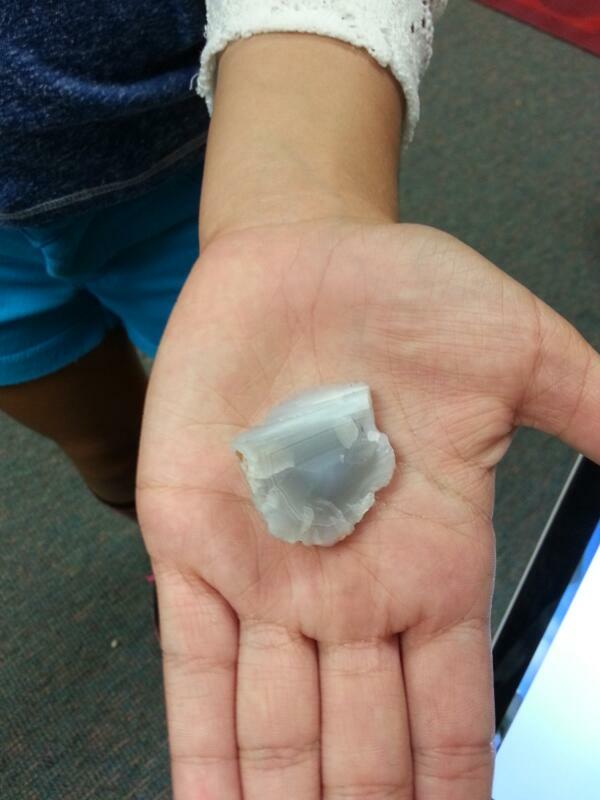 Posted in Geology, Rocks and Minerals, Science in the Classroom on October 25, 2013 by rossmannell.